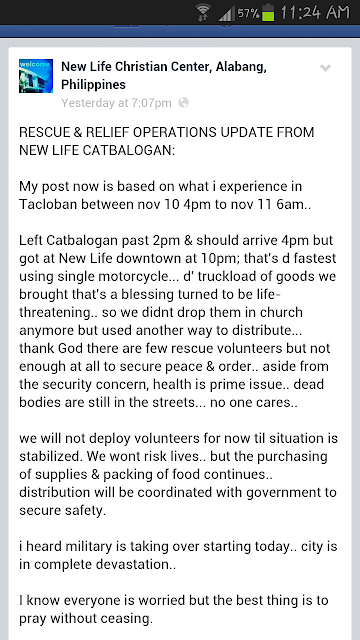 I am happy and thankful that my family in Cebu is safe from the damages of typhoon Yolanda. However, I can't help but feel for those whose families were affected and those whose homes and loved ones were lost. 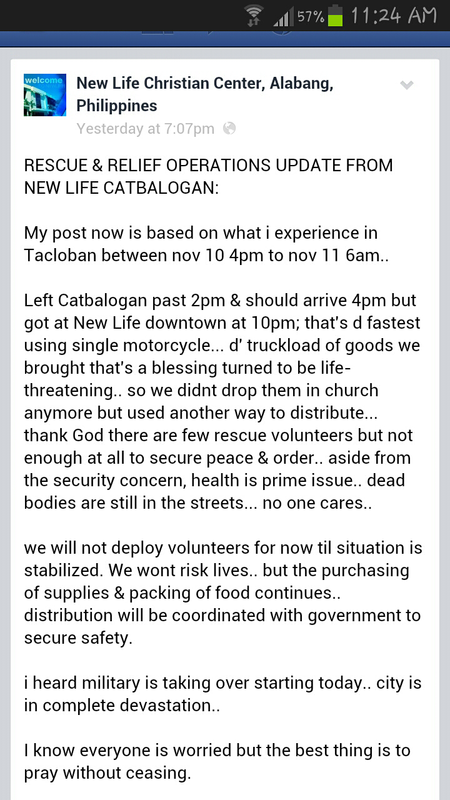 Yolanda may have already left the country, but the people are still reeling from its damages. For the past few days, our helpers have anxiously waited for news from their loved ones in Leyte and Samar. It was agonizing to not know whether their family members survived the tragedy or not. As communication lines were down, they were unable to contact their families directly. 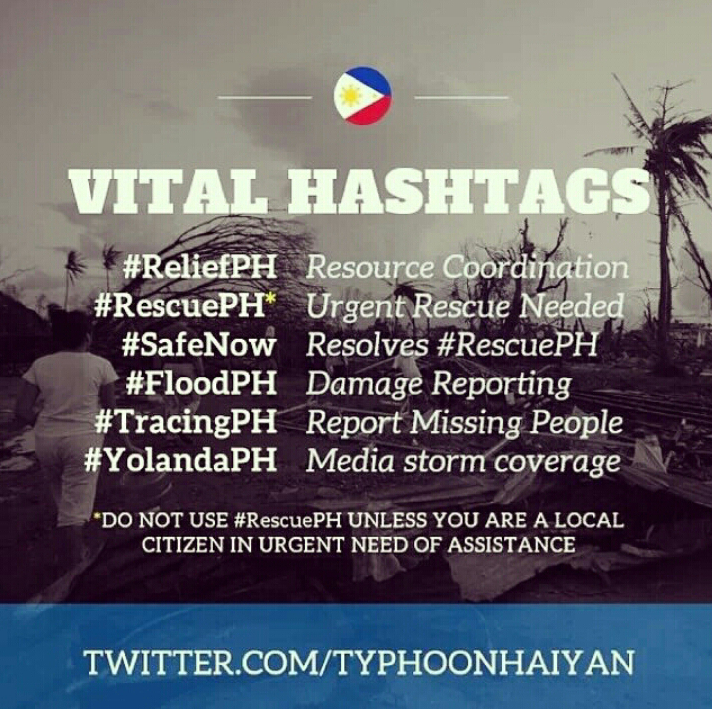 They had to rely on social media to reach out to people who were going to their barangays to get updates on their loved ones. We thank God that all their family members are safe and alive. However, they are still facing the challenge of sustaining themselves the next few weeks as they struggle to get supplies of basic necessities. We want to send food over to them through people who are planning to go to the sites themselves, but these people are also wary of bringing a lot for fear that they might get looted along the way. 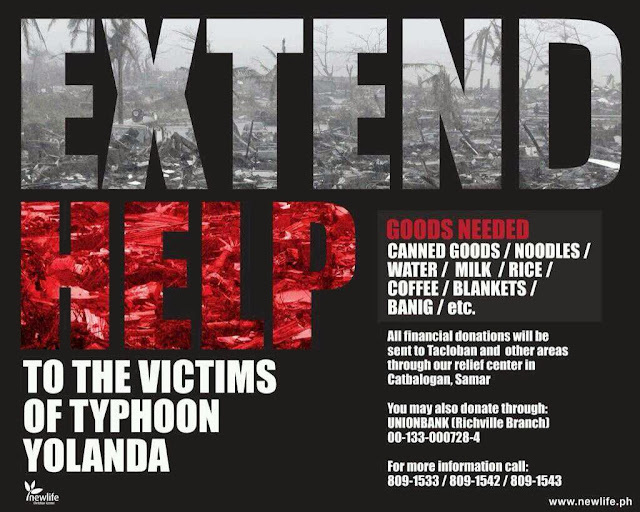 For other relief operations, please refer to Rappler list here. Let's be a blessing to others and do our part to help those in need.